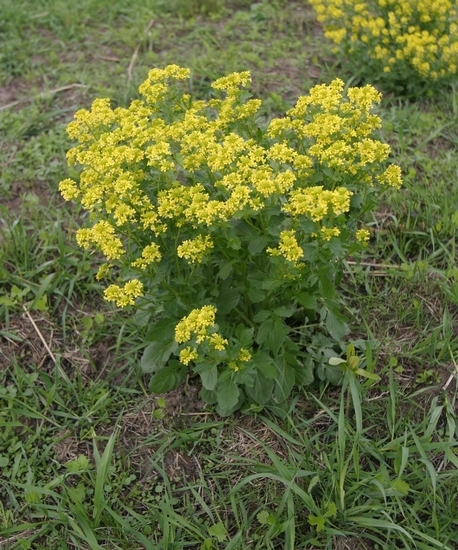 A winter annual or biennial with shiny green foliage and bright yellow flowers that may reach as much as 3 feet in height. Primarily a weed of turfgrass, winter small grains, and pastures. Found primarily throughout the eastern and central United States, but also occurs to a lesser extent in the western states. 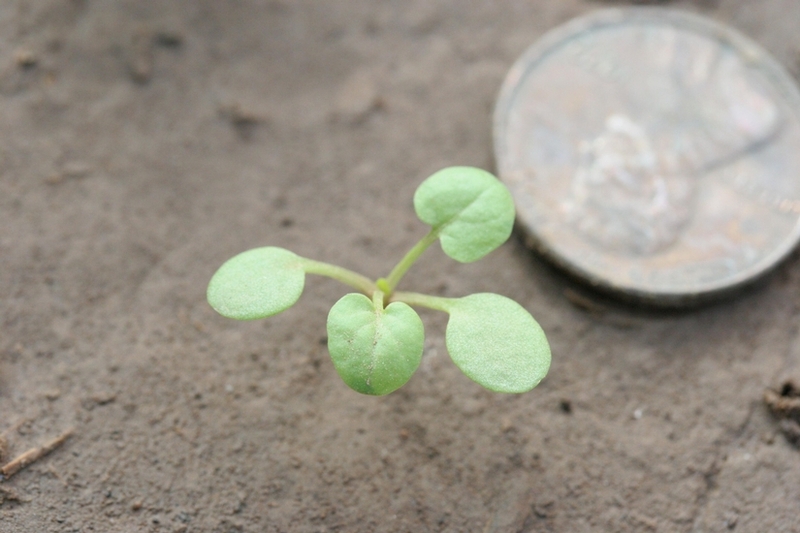 Cotyledons are egg-shaped on long stalks and slightly notched at the tip. First true leaves are rounded, usually with wavy margins that become toothed with maturity. 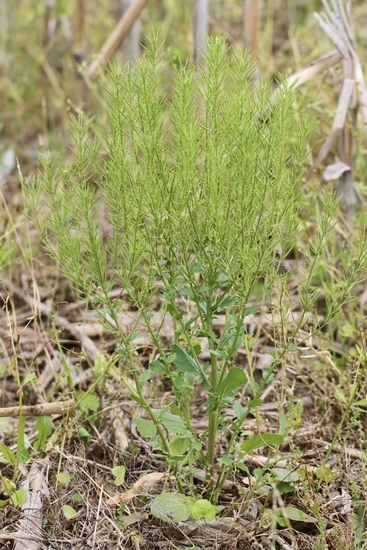 All subsequent leaves are alternate, however biennial plants take the form of a basal rosette during the first year of growth. Dark green in color and shiny. Basal leaves are approximately 2 to 8 inches long and lobed with one large terminal lobe and 1 to 4 oppositely arranged lateral lobes. Terminal lobes have a heart-shaped base. 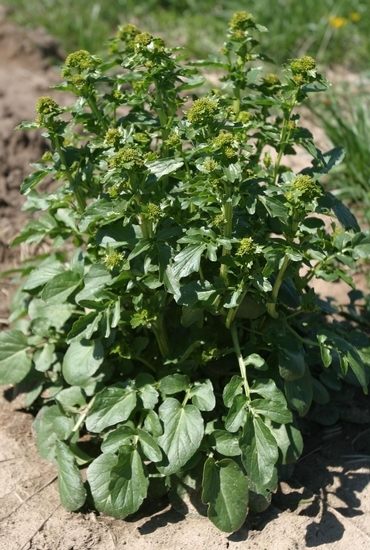 Leaves become smaller and less lobed toward the top of the plant. 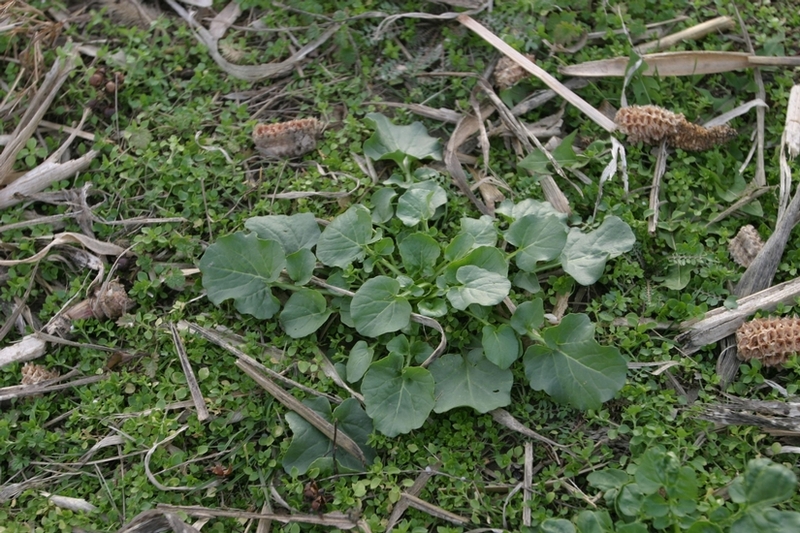 All leaves are alternate and have margins that are wavy and toothed. 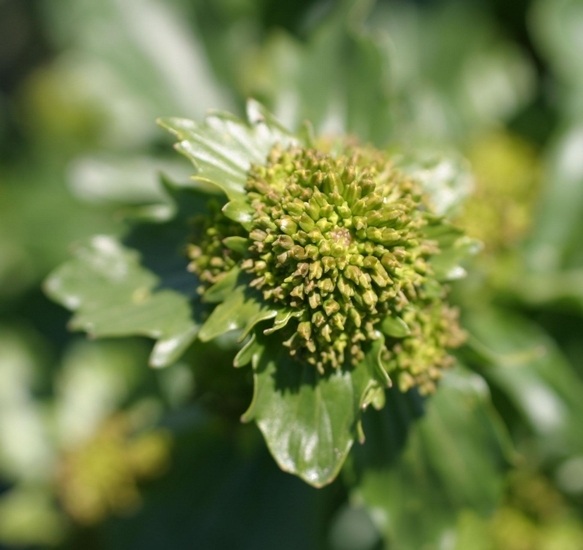 Biennial plants produce flowering stems during the second year of growth. 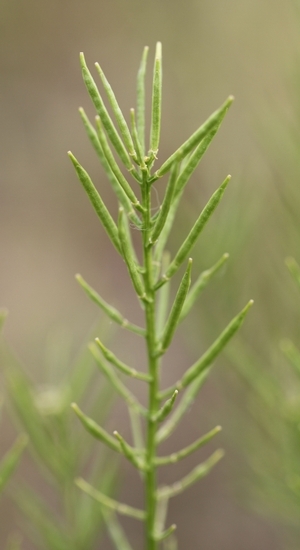 Stems are erect, smooth, ridged, and branched at the top. Produced in elongated clusters at the ends of branches. Individual flowers are bright yellow in color and consist of 4 yellow petals. 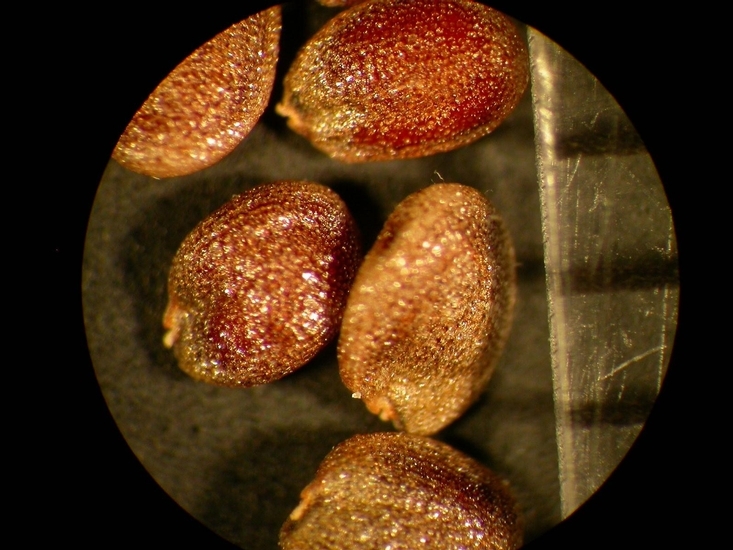 The fruit is a silique that is approximately 1.5 mm wide and 1 inch long. Siliques have beaks at the tip and are squarish in cross-section. Each silique occurs on a stalk (pedicel) that is from 3 to 6 mm long. Taproot with a fibrous root system. Plants with bright yellow flowers and shiny green leaves with several smaller lobes and one large terminal lobe. 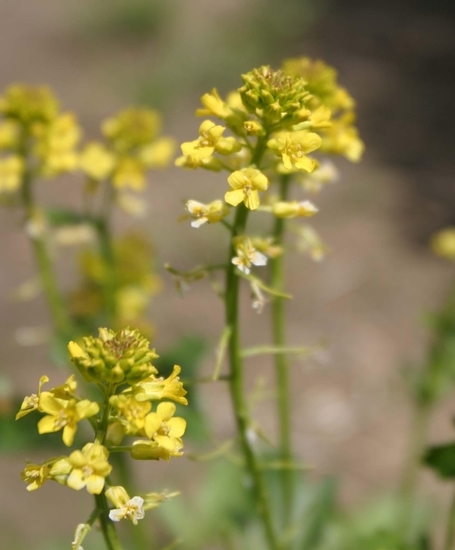 At maturity the flowers of several mustard species, including Wild Mustard (Brassica kaber) and Wild Radish (Raphanus raphanistrum), resemble those of yellow rocket. 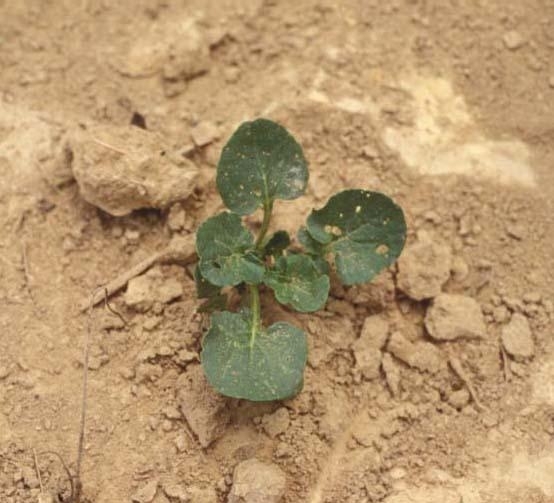 However, wild radish has leaves that are covered with stiff hairs unlike either wild mustard or yellow rocket. 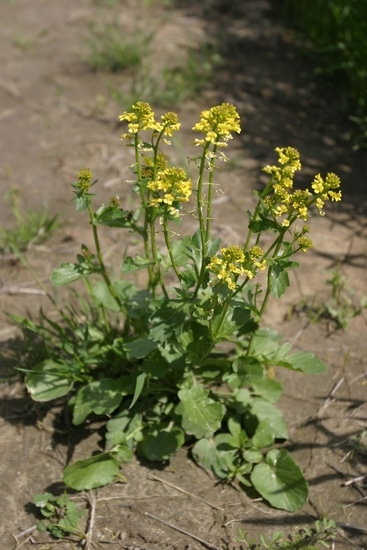 Additionally, the large terminal lobe in the leaves of yellow rocket helps to distinguish this weed from wild mustard.